Co-operatives are coming into their own as an economic force for good, writes Melina Morrison, CEO of the Business Council of Co-operatives and Mutuals, in the second in a series of 2018 predictions from leading experts across the social sector. Last year was a huge year for the co-operative movement, in Australia and around the world. The gig economy is being disrupted by its own consumers, who are demanding more say in how services are delivered and a fairer distribution of profits. The co-operative economy is going virtual. The recommendations of the independent Hammond Review will come before parliament this year. Hammond shone a light on the unsuitability of the existing legislative regime, under which CMEs couldn’t raise investment capital without demutualising. The government accepted all 12 recommendations for modernising how the sector is regulated. This will give co-operatives and mutuals access to capital-raising that is better suited to preserving the values and business models of the CME sector. From a community perspective, a focus on community-based impact investment strategies will unlock the peer-to-peer lending potential which is at the basis of the co-operative way of pooling capital. The co-op builder tool developed within the Farm Co-operatives and Collaboration Pilot Program and the Platform Co-operative movement have made forming a co-operative quicker and easier than ever before. Innovative and community-minded entrepreneurs have launched bHive, a locally owned sharing economy platform in Bendigo, and a plucky group of cleaners have come together to create a fairer version of Airtasker in Victoria – new ideas are springing up every single day. National Disability Insurance Scheme (NDIS) recipients and their families will increasingly form or join co-operatives which maximise their budget, as well as their choice and control around the type of services that best suit their needs. With the help of organisations such as the Supported Independent Living Co-operative, the NDIS will pave the way for genuine consumer independence. Policy makers in the aged care space will begin to pick up on the increasingly popular co-operative model offering budget-holders independence and choice within the NDIS. At the same time, increasing awareness of co-operative solutions – and access to them via “Platform Co-operative” technologies – will see individuals start to think about collaborating on independent aged care arrangements. And, aged care workers themselves are organising into self-sustaining worker platforms, like The Co-operative Life, where the workers own the business that hires out their labour. The popularity of the Farming Together program has already seen the kick-off of over 60 primary producer co-operatives or collaborative ventures, with more expected in 2018. The ability to see each other as partners rather than competitors and share the costs involved in scaling their businesses will strengthen the backbone of Australia’s family farm agricultural industry, as well as rebuilding communities which were formerly dependent on manufacturing. At the end of 2017, the staunch co-operative champion Bridget McKenzie was made deputy leader of the Nationals and then minister for sport and elevated to Cabinet. Maybe this is wishful thinking, but we say watch this space as Australia looks to replicate the success of member-owned football teams which dominate in Spain, Germany and the UK. And these are just a few of the exciting developments from the sector. We confidently predict that 2018 will continue to deliver positive news on the co-operative front, with more and more people taking control of building the society they want to live in. 2018 is the year of coming together to do it ourselves. About the author: Melina Morrison was appointed the inaugural CEO of the Business Council of Co-operatives and Mutuals (BCCM) in July 2013. The BCCM formed in 2013, following a national campaign Melina led in 2012 to raise awareness of the contribution of co-operative businesses in the Australian economy. From 2010 – 2013 Melina headed the national Steering Committee and Secretariat that oversaw Australia’s International Year of Co-operatives (IYC) campaign. 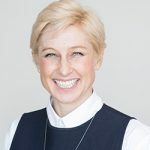 She is a founding director of the cooperative businesses advocacy organisation, Social Business Australia, established in 2009 to increase recognition of the added value of member based business in the national economy. For the last 10 years, Melina has headed media campaigns for peak co-op bodies including the International Co-operative Alliance (ICA).